Compact First Aid Kits are a great promotional product because they are filled with useful first aid items that everyone will use & appreciate. Prices range from $2.69 to $2.19 each. 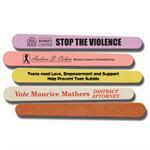 Our inexpensive Emery Boards come in your choice of lavender, pink, yellow or white. Prices range from $.49 to .12 each. These unique Ribbon Emery Boards are printed on natural colored European emery paper laminated to wood veneer. With the clear message "End Domestic Violence There's no excuse for Abuse". Prices range from .89 to .35 each. THE MORE YOU ORDER, THE LOWER THE PRICE! Prices range from $1.49 to .93 each. 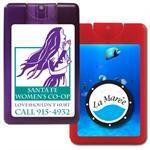 Our Antibacterial Hand Sanitizer Pocket Spray comes in a translucent frosted tube with a full color printed decal. Size is 5 3/4” x 5/8” and contains .33 oz of citrus scented sanitizer. Prices range from .99 to .65 each. Our Alcohol-Free Antibacterial Hand Sanitizer Pocket Spray comes in a translucent frosted tube with a full color printed decal. Prices range from $.85 to .67 each. THE MORE YOU ORDER, THE LOWER THE PRICE! Prices range from $.75 to $.58 each. THE MORE YOU ORDER, THE LOWER THE PRICE! Prices range from $1.29 to $0.95 each. Our Chap Balm is made in the USA and is FDA approved. It contains Aloe Vera, SPF 15 with UVA/UVB protectors and is also PABA free. Prices range from .79 to .55 each. Antibacterial Hand Sanitizer with your custom imprint in an affordable 1 ounce size! Prices range from $1.05 to .79 each. 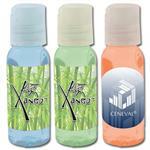 Antibacterial Hand Sanitizer with your custom imprint in a larger 2 ounce size! Prices range from $1.09 to .79 each. Antibacterial Wet Wipes come in a custom imprinted canister with ball chain attachment. Prices range from $1.19 to .85 each. 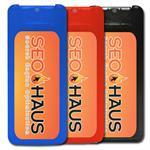 Make sure your company or organization looks great! 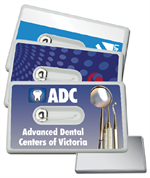 Custom printed plastic mirrors reflect well on your business. Prices range from .59 to .45 each. 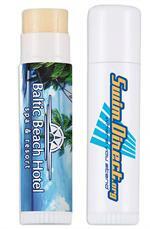 Bug Repellent Mist Sprayer provides you with the most effective, chemical-free way to repel bugs. Prices range from $1.29 to .85 each. Fight germs with this antibacterial hand sanitizer gel. 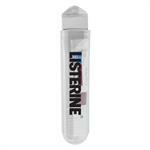 This Sanitizer is clear with a fresh citrus scent and comes in a .5 ounce/15ml bottle with a full color printed decal. Prices range from .89 to .61 each. Our Antibacterial Hand Sanitizer Spray comes in a credit card style container with a full color printed decal and contains .676 oz of sanitizer. Prices range from $1.19 to .85 each. Our mini credit card style Antibacterial Hand Sanitizer Spray comes in a mini container with a full color printed decal and contains .4 oz of sanitizer. Prices range from $1.09 to .79 each. 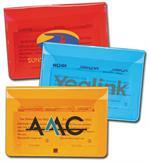 Slim, affordable, personal First Aid Packs include 4 alcohol wipes and 5 adhesive bandages in a translucent case. Prices range from .89 to .69 depending on qty ordered. Our Primary Care™ Bandage Dispenser has a contemporary, easy-to-refill design and includes 5 latex-free bandages. Prices range from .69 to .56 each depending on how many you order. 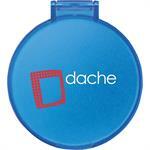 Make your promotions pop, with these Metal Mint Tins. This convenient carrying case clicks and pops open to reveal approximately .25 oz of flavored sugar free mints. Prices range from $1.19 to .89 each. Our Mini Antibacterial Hand Sanitizer Pocket Spray comes in a translucent frosted tube with a full color printed decal and a key ring. Size is 3 3/8” x 1/2” and contains .17 oz of citrus scented sanitizer. Prices range from .99 to .63 each. These Antibacterial Wet Wipes come in a convenient pouch containing 15 individual wipes. Prices range from $1.19 to .85 each. Our all natural beeswax lip balm is made in America, FDA approved and PABA free! Prices range from .85 to .59 each. Protect your skin with this SPF 30 .6 oz. Sunscreen Stick. This FDA approved formula is easy to apply and non-greasy. Great for outdoor events! Light tropical scent. Prices range from $1.49 to $1.15 each. 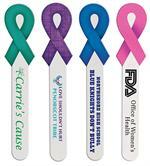 These unique Ribbon Emery Boards are printed in full-color on natural colored European emery paper laminated to wood veneer. They have both a medium and coarse grit. Prices range from .39 to .25 each. "Love Shouldn't Hurt" Emery Board. Prices range from .79 to .25 each. Help fix life’s little cuts and scrapes with our handy bandage dispenser. Containing 5 latex free bandages. Prices range from .85 to .51 each. Perfect for on the go- our kit has just the essentials you need. 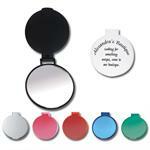 Small size makes it ideal for pocket, handbag or briefcase.Prices range from $1.05 to .83 each.